Phil Pustejovsky is a man with a very powerful and inspiring life story. And even though his accomplishments are far from over, it’s important to take a look at what this man has done right now in his life. First, Phil Pustejovsky was actually born in Baytown, Texas. But he did not live there for the majority of his life, because at the age of five, he then moved to the town of Carver, Massachusetts. All in all, Phil had a very happy childhood. The great thing about coming from a loving family is that they teach you valuable lessons on kindness, integrity, and more from a ripe early age. When he was a teenager, his sense of experiencing greater personal achievement helped him work hard and become the man that he is, even though he doesn’t consider himself a gifted student. Even though Phil might not have gotten the greatest grades in high school, he was actually accepted into Vanderbilt University, which is also known as the Harvard of the South. While in university, Phil wholeheartedly admits that he did not fully take advantage of the opportunity that was presented to him while he was in school. He did not spend all of his time studying and working hard to get good grades. On the contrary, Phil actually spent a whole lot of time partying, like so many other people do at that young age. Although he did graduate from Vanderbilt with a degree in mechanical engineering, he had a very difficult time getting a job because he did not have the greatest grades. 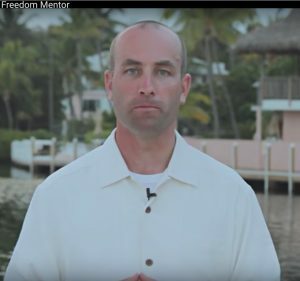 When Phil Pustejovsky realized he was never going to get his dream job, he decided to become a real estate investor. He thought this was going to be the perfect line of work for him, but at first it actually turned out to be a very rocky road. After he entered into the real estate investing game full-time, he thought he’d make enough money to survive, but quickly found out that he was going to be wrong with that assumption. What he didn’t realize was that profitable real estate investing was hard to come by, and since he couldn’t make it work at first, he actually ended up broke and homeless. After finally hitting rock bottom and having very little hope, he prayed to God to help put him on the right path in life. At one point in his life, after hitting rock bottom, Phil experienced a miracle as he attempted to flip a deal to another investor. It turns out that this investor was going to be his own personal angel, although he didn’t know it at the time. After explaining his sob story to this individual, the investor agreed to mentor him. Before long, Phil was making one incredible real estate deal after another and this partnership and the mentorship experience completely change his life forever. Now Phil is one of the most successful real estate investors in the world, and he has And you can learn all about him on YouTube via his Real Estate Investing channel.